High-quality decals for scale models. 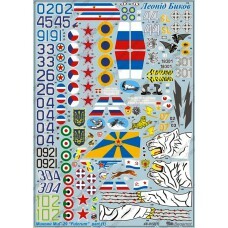 For aircraft in 1/32, 1/35, 1/48, 1/72 and 1/144 scales. For cars in 1/24 and 1/43 scales. For ships in 1/350 scale.